Humanitarian Public Servant, Ret. SFC. 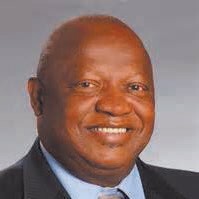 US Army Veteran, Entrepreneur, Civic Activist Georgia State Representative Robert “Bob” Bryant, Sr.
On Thursday Morning February 25, 2016 State Representative Robert “Bob” Bryant Sr., peacefully passed from labor to reward. He was born in Savannah, Ga., on August 11, 1944, the son of James and Rosa Bryant. He attended the public schools of Savannah Chatham County and was a 1962 graduate of Sophronia M. Tompkins High School. After completing high School, Bob entered the U. S. Army and retired as a SFC after twenty years of Service. He also received a B. S. Degree in Business from Columbia College. After retirement he became employed by the City of Savannah and also served as General Manager of WEAS Radio Station, where he again retired from both jobs. Bob began his political involvement within his community where he served as the President of The Garden City Progressive Community Organization and later he elected to serve on the City Council of Garden City and also served as Mayor-Pro Tem. Currently, he was serving his twelfth year in the Georgia House of Representatives seat #162. Bob loved music and in his spare time he DJ for occasion’s weddings, birthdays, and other social events. He was the Host/ Owner of the Wax Museum Radio Show. He also owned and operated Bryant’s Transport Services along with his son, Michael since 1999. He was preceded in death by his parents, three sisters, Delores McLemore, Edith Williams and Janet Styron, Three brothers Herbert Bryant, Sr., Harold Bryant and Stanley Bryant.